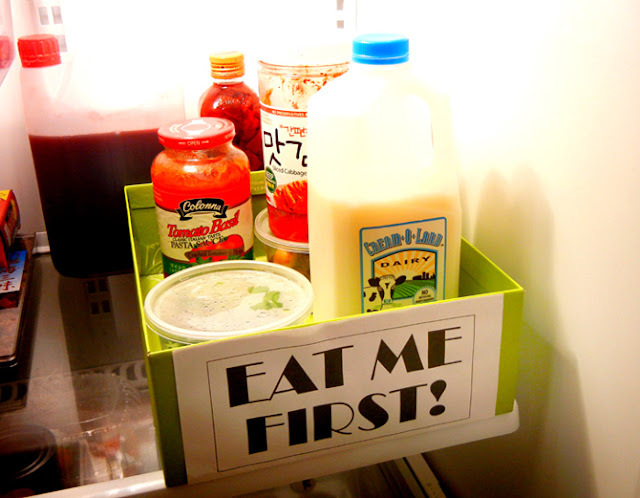 This is one of the simplest and easiest way to finish off those foods at the edge of expiry. 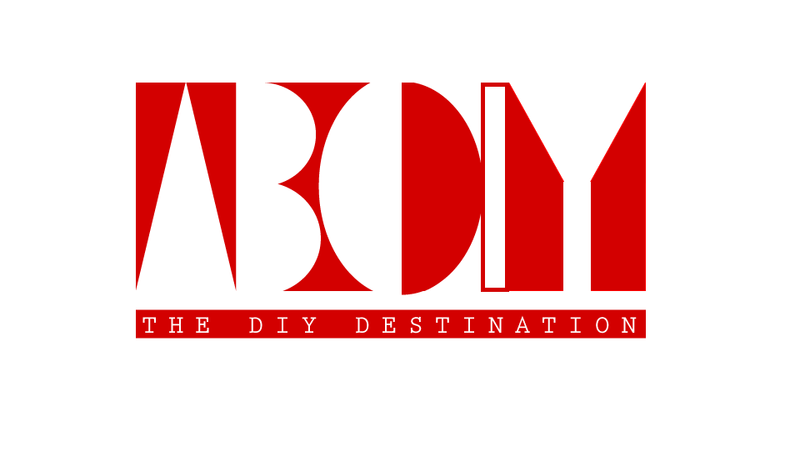 This in turn could help u save money and reduce food storage to a great extent. Ll you need is a box named Eat me first to let know others to finish them off. 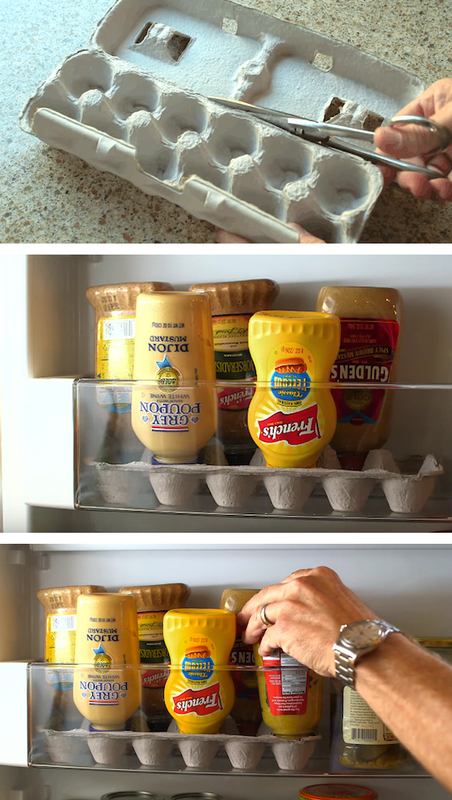 Wait before you throw away those egg carton.. Cut them and make way for storing your squeeze bottles in a neat manner . 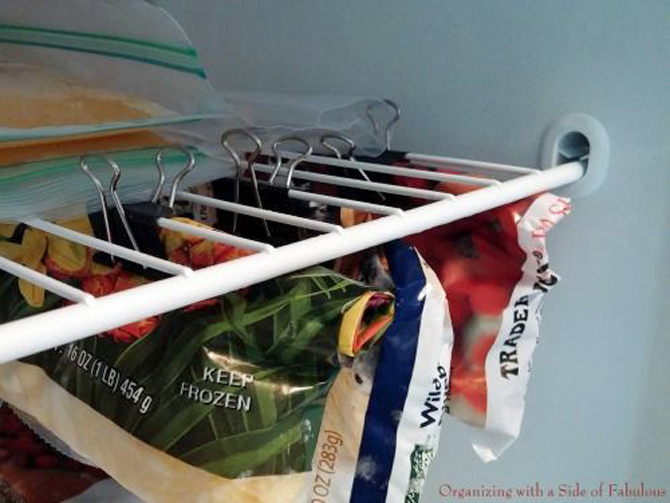 Its a very creative and simple idea to store your freezer bags on those shelves.All you require is those clips to hold them . Create a separate snack zone area for your kids. It allows them to have whatever they need at ease and also saves other items like milk spill from their careless behaviour. You can preserve those fresh herbs in ice trays and freeze them with olive oil to use when needed. 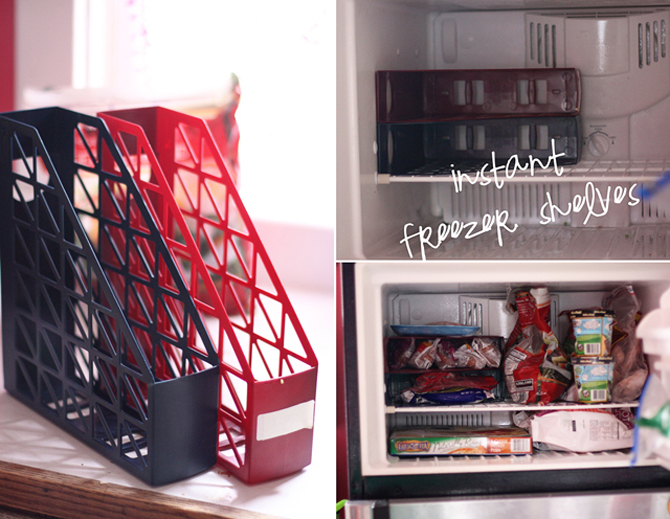 Turn those magazine holders to Freezer shelves for instant small storages. 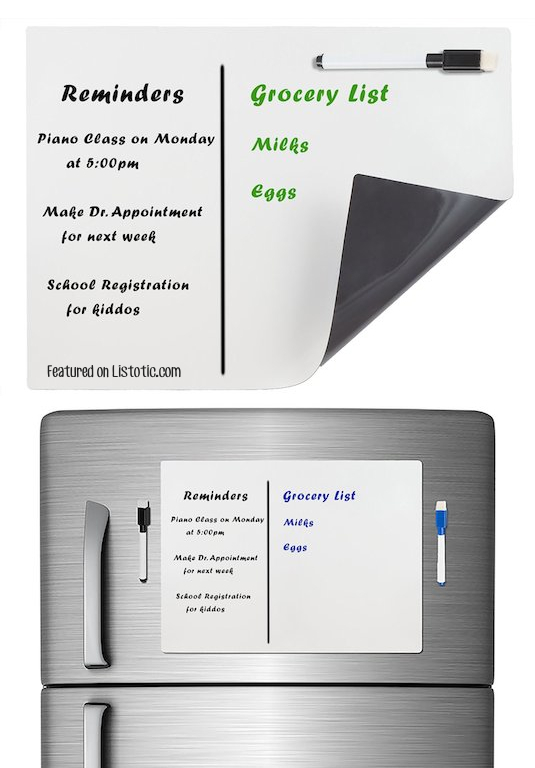 No more fussing up with the large drawers in the refrigerator. 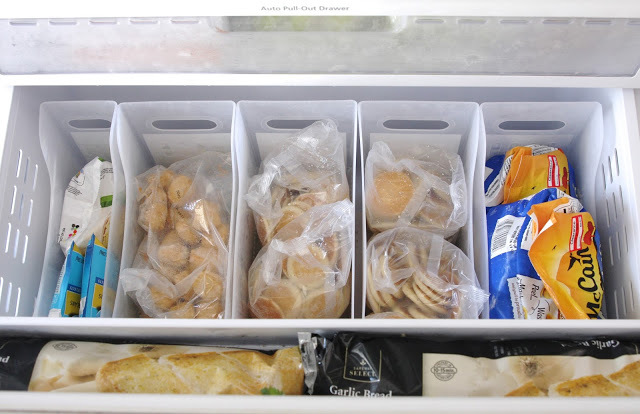 Organise them neatly with the help of freezer drawers to keep veg, fruits , groceries separately. 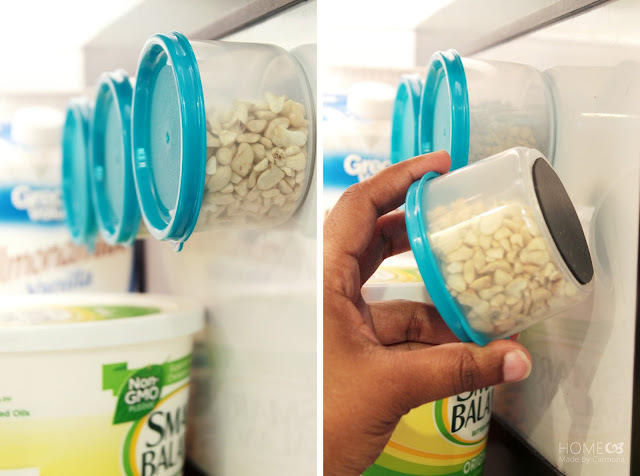 Attaching a piece of magnet to the plastic containers gives more room in the refrigerator for additonal storage. 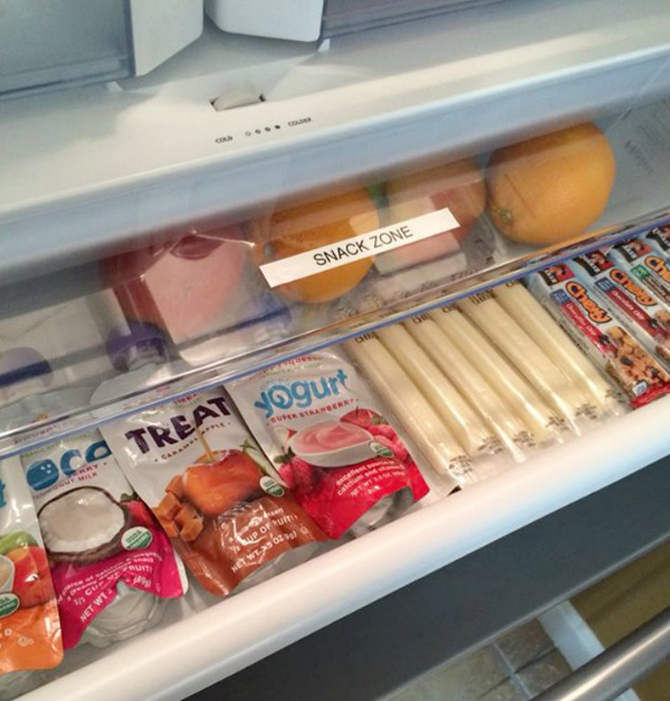 Few may find things difficult to grab from the nook and corner of the fridge shelves. 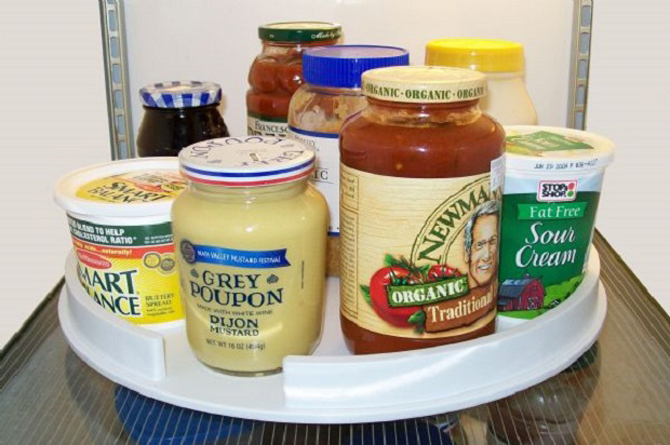 lazy susan is the perfect rescuer for them letting the things to be placed within reach.